The Supreme Court’s Alice decision has introduced a dimension of uncertainty associated with the validity of many of the software patents held by operating companies today. There seems to be a consensus among some of the leading academic and judiciary experts supporting that conclusion, as seen in recent comments made by Stanford Law School’s Prof. Mark Lemley, as well as in recent comments by former Federal Circuit Chief Judge Michel. From a valuation and financial reporting perspective, there needs to be a serious examination of the post-Alice landscape implications on the value of patents as corporate assets. The results of such examination may lead to further action – which could range anywhere from additional disclosure requirements by regulators, all the way to actual corporate asset write-offs. This article highlights some of the key issues that need to be addressed by companies and regulators. In order to address the Alice decision and its impact on corporate disclosures, one needs to first understand the existing financial reporting requirements and how patents are presented as corporate assets. Under current accounting rules (US-GAAP and IFRS), internally generated intangibles, including patents, do not show as assets on the balance sheets of the companies that created them. Patents only show up on the balance sheet if they were acquired and paid for, either as a standalone portfolio or as part of an M&A deal where the assets of the target include patents. It is important to mention that these patents had no value on the books of the selling company either, so in most cases a transaction where patents are changing hands is the first time that the value of such assets is reported anywhere. Take, for example, the Google acquisition of Motorola Mobility in 2012. The Motorola Mobility balance sheet on the eve of the acquisition showed virtually no value allocated to patents as corporate assets. Yet, the acquisition resulted in Google reporting $5.5 billion of patents as acquired assets on its post-merger balance sheet. The post-M&A valuation itself is conducted by valuation experts with no particular legal or technical knowledge, who assume that the patents are valid based on the due diligence done by the legal team of the buyers. Assessing the validity of patents as part of a post-merger purchase price allocation is outside the area of expertise of IP valuation experts, as well as the auditors in charge of reporting the deal. Once the pre-merger due diligence is complete, there is no further legal examination of the patents for purposes of financial reporting. When looking at the financial statements of any company, one needs to keep in mind that there are two types of disclosures for patents: the reported patents, resulting from acquisitions; and the “invisible” patents, those emerging from the company’s own R&D efforts, which are not reported as corporate assets as all. It is usually the case that most of the company’s patents fall under the second category, and in particular when it comes to large tech companies that spends billions of dollars on R&D, resulting in many new patents filed every year. There is an established process for recording losses related to the decline in value of patents acquired through acquisitions: these patents are tested periodically for “impairment”, a process that involves comparing the carrying amount of an asset (price paid for the asset, or its “book value”) to its fair value (as calculated based on current market conditions). An impairment loss is recognized when the carrying amount of patents is not recoverable and exceeds its fair value. Impairment testing is done when there is an indication that might trigger a decrease in the market price of the asset below its reported book value. There is a list of conditions that the regulators consider as triggers for impairment, including – among others – a significant adverse change in legal factors. It is a grey area involving discretion by management, subject to varying degrees of leniency by the auditors running these impairment tests. It is not immediately clear whether the post-Alice legal ambiguity should be considered a strong enough trigger for impairment testing of certain categories of patents, and if so, what type of testing should be applied, and who should perform the testing. Impairment testing is currently done by valuation experts who lack the legal background to assess the validity risk associated with the patents, and subsequently the assumption of validity is carried over from the original post-merger valuation. More guidance is needed from the FASB and the SEC on that topic since the process, as currently performed, does not lend itself to the inclusion of validity assessment by the valuation experts or the auditors. While impairment analysis exists for reported intangible, there is no process whatsoever for writing off non-reported intangibles, which include all internally created patents as previously discussed. Since these assets are not on the balance sheet, there is nothing to write off in the first place and no basis against which to conduct an impairment test. From a pure accounting perspective – there is no place to record the loss, and no way to calculate the size of the loss. This does not mean that the markets will not factor that into the stock price, even without specific disclosure by the company. It may very well be that if companies start writing off acquired intangibles, stock analysts and investors could estimate the degree at which a similar write-off could be applied to non-reported patents, and adjust stock price expectations accordingly. While this is all highly speculative and there is no way of telling how stock markets will react, it is not unreasonable to assume that some companies with patents that are directly impacted by the Alice decision might see some sort of market price adjustment based on the higher invalidity risk associated with these assets, even if these patents are not on the balance sheets of these companies. The Sarbanes-Oxley (SOX) Act requires management and auditors to establish a level of internal controls that would guarantee the accuracy of reported financial statements. All financial reports need to include an Internal Controls Report showing that a company’s financial data are accurate and that adequate controls are in place. Criminal and civil penalties are imposed for noncompliance. Section 302 requires the CEO and CFO to certify that the reports “fairly present in all material respects the financial condition and results of operations” of the company for the periods included in the report. When it comes to IP, the guidelines for SOX compliance are vague and there’s no clear set of steps that companies apply to their IP portfolio to guarantee compliance. This approach might change post-Alice, if large portfolios are at risk of invalidity. It could certainly be considered a “material aspect” yet it is unclear what set of best practices will emerge and how the SEC will enforce them. The 1934 Securities Exchange Act’s rule 10b-5 lays the foundation for the SEC to investigate possible security fraud claims. Rule 10b-5 violations cover cases where executives make false statements in order to drive up share prices, or where they withhold negative information that could have an adverse impact on stock prices. Violations of 10b-5 open the door to shareholders’ class action litigation as well, especially if stock prices experience fluctuations that can be attributed to material misrepresentations by management. This could create an additional risk of litigation or SEC investigation for companies with a large concentration of patents directly affected by Alice, and should motivate these companies to take a closer look at the value of their IP portfolio and determine whether additional disclosures are prudent under the circumstances. Efrat Kasznik is president of Foresight Valuation Group, a Silicon-Valley IP consulting firm focused on assisting companies with valuing and managing their innovation. She is a Lecturer at the Stanford Graduate School of Business, and is a frequent speaker and author on topics related to IP valuation and strategy. You’ve astutely pointed out another “tip of the iceberg” problem with Alice. In particular, how to do you rationally assess the value patents potentially in the “Alice zone” when Our Judicial Mount Olympus provides a subjective test and fails to define key components (i.e., “abstract idea” and “something more”) of that test. Not very comforting thought, is it? Fantastic article – and one that needs to be strongly embraced. Gene Quinn and I have exchanged sentiments that perhaps we should stomp on the gas pedal with this Alice decision and its obvious [pun intended] consequences. A devaluation is not only in order – it is legally required. The faster we can do this, the stronger the association can be made between the decision by the Court and the logical outcome of that decision, and the stronger the case can be made that Congress simply could not have intended the law to be “interpreted” in the manner in which it has been done so. I have also seen – and fully echo – the notion that the Alice decision was a Chamberlain “peace for our times” decision crafted in order to pacify a vocal software anti-patent power contingent. Rather than accepting a peace for our times, turn our back on a sovereign nation now, judicial decision, maybe we should fully embrace the pain that the Alice decision brings and push the legal logic to its natural conclusion: a truly broken and shattered patent system. “If it’s not broke, don’t fix it” has an obvious corollary: If it needs fixing, make sure it’s really really broken. The anti-patent people have long screamed that the patent system is “broken.” Taking a sledgehammer to the “broken” patent system and then wanting to “duct tape” the broken shards of that system together with some “let’s see what we can “compromise” and salvage mindset is decidedly not the way to go. One does not soak the system in gasoline, light a match and then “hope” that only a light surface burn is the result. I have long noted that the arguments made by the anti-software people share the same kernel as any anti-patent argument, and that you cannot separate the two. You cannot lightly sprinkle the gasoline. The system is soaked. The match is struck. Better now to burn it down quickly and completely, then to attempt a hapless snuffing of the flames. Congratulation doctor, you have cured the patient. That he is dead is not our concern. Let’s embrace the historical parallel. The wooden shoes have been thrown. The machine is broken. Those that remember, will remember that the fates did not look kindly on those that threw their shoes into the machine. A reference to where the word “sabotage” came from, eh Anon? More than that EG – the story (and the part about how that story ended for the shoe-throwers) is a particularly apt tale to remember in the history of innovation, the clash of innovative forces and the social fabric of society, and the march onwards and upwards of technology. Are there any publicly traded companies whose value is primarily associated with a software patent portfolio? A look at their stock price pre and post Alice might give a sense of it’s impact on valuation. I think one of the points of this article is that ALL companies that have patent portfolios and any related worth reflecting those portfolios – be then in goodwill or elsewhere – should be in the process of informing their shareholders of the loss of worth of those patent portfolios. Stock price may or may not reflect the companies own valuations – that will be an additional market reaction to watch. -WhatsApp had < 20 employees and in under 3 years was sold for $19billion to Facebook. Billions, not millions but $Billions. -Minecraft made at least $129m for its software developer founder in under 5 years. Likely multiples of $129m. All 3 without patents, and there are many more examples. Your supposition that my thinking requires the software entities cannot make money without patents is both false (such is not my supposition) and off-point from anything I have posted. You are implying that destroying the patent system will be disastrous for software industry. I gave you but 3 examples that clearly show otherwise. EG – thank you for the comments. I believe that my article is just scratching the surface of the valuation and disclosure problems that a decision like Alice raises with corporate patent holders. I have alerted before, in other articles, to the fact that patents are largely not on the balance sheets of companies, and that it is actually fairly convenient for management to keep it this way for a variety of reasons. One of the main reasons I see companies benefitting from not having to disclose internally grown patents has to do with the volatility associated with patent values, which would have required them to constantly value and adjust their patent assets. The Alice situation proves that point exactly: with no patent assets on the books, there is nothing that needs to be adjusted, and no financial reporting obligation to report to investors of any potential reduction in value of patent portfolios due to change in legal circumstances that might impact the validity of the patents. Anon – thanks for the great feedback! Putting aside one’s stance on the pro-patent debate, the flaws with reporting patens as corporate assets have existed for a long time. What a decision like Alice is doing, from a valuation perspective, is bringing to the surface the information gap associated with patent values, and how values that may need to be corrected, are not even reported in the first place. So the questions now are: will there be an economic adjustment by the market for patents that may be affected by the Alice decision? And, will regulators step in to enforce any disclosures related to changes in the value of patents in the “Alice-zone”? Mark – that’s a good question. WIthout singling out any particular company, I think that it is now widely agreed upon in corporate America that IP assets account for a significant portion of the market value of technology companies. Having said that, it is very difficult (although not impossible) to link a change in stock price to one particular event. In order to do that, you would need to isolate all other events that made the news that day (and there could be dozens of news items related to a public company in one day) so that you can show a direct linkage between the Alice decision and stock price movements. Short of doing an economic study like that, it’s really impossible to point to stock declines (or increases, as the market can react both ways) resulting from the Alice decision. If you cared to do your research you would have realized that the examples you provide do not support your position. You believe what you believe based on a pile of lies. Those who don’t get software patents will eventually have their work copied out from under them, assuming they come up with anything actually worth copying. SoftwareForTheWin @8. First, I would agree that many software companies have thrived without patents. But both Twitter and WhatsApp do have patents either issued or pending. In my experience, investors in technology startups want to see at least a few patents. Anon @7 Well the thing to do then, is look to see what companies are saying to their shareholders. Have any warned their shareholders of an apparent loss in value? Have any even mentioned the Alice decision in their communications? Efrat @13 I have found that a good indicator of a surprise to the market is a big jump in trading volume. If nobody’s volume jumped with the Alice decision then I would argue it had no impact. I would caution that watching a particular stock’s volume jump may – or may not – align properly with events external to a company that nonetheless deeply affect a company (such as court decisions to third parties). As you note – the item to watch for is company announcements and reactions to those company announcements. One of the my points that I took away from this article is that companies with patent portfolios of any appreciable size – whether or not those portfolios are currently recognized formally on the books – may have a duty to shareholders to report a change in market value because of the apparent change in law that affects assets (again, whether or not those assets are formally recognized) in a material manner. I would posit that even those assets not formally recognized, but nonetheless have a real and substantial impact will need to have material devaluation reported to shareholders. If – or when – any particular company reports such, there may or may not be a reciprocal trading volume reaction. I would also note that there may or may not be “herd effects.” That is, there may be macro market reactions that may occur that may mask any particular individual company effect. Crashes and bull runs sink and rise entire fleets of ships – whether or not the individual ships may be built in a sturdy manner. Mark @18: if only it was that simple that a jump in volume would indicate surprise in the market… there have been volumes of academic and industry research (I specifically urge you to check the research out of the Stanford Graduate School of Business, happy to provide references offline) trying to examine the relationship between information disclosure and stock prices. As I explained in my answer @13, in order to examine the Alice impact you will need to create some elaborate statistical models and conduct an “event study”, isolating all other events that could have impacted stock prices. At any rate, whether the Alice decision had an immediate impact on stock market returns has nothing to do with the points raised in my article. What i am talking about is the potential for impairment, which is a long term impact on the value of IP portfolios that needs to be disclosed to the market. This is the important disclosure that might have an impact on stock prices – not the original supreme court decision. Regarding the valuation of WhatsApp, etc – there’s a lot to discuss there, and it’s really off topic as someone has pointed out. I would just say, from my vantage point in silicon valley dealing daily with startups and investors, that you will be hard pressed to get VC funding these days without come type of IP protection for your ideas. Efrat – I think that “good will” is where it may be captured. Your discussion about the accounting treatment of internally generated intangibles is a bit different from what I’ve seen over the years. In the case of an internally created patent, for example, the legal fees and filing costs associated with the patent can be carried as an intangible asset on the financial statements of the company. If legal costs are incurred to defend the patent rights, those costs can be capitalized as an asset if the defense of the patent is successful. The amounts may not be much compared to other assets, but at least it gives people who read balance sheets more insight into the company. US GAAP generally requires development costs to be expensed as incurred, but several large multinational corporations have started using IFRS for their foreign subsidiaries where allowed by local law, and some U.S. subsidiaries of foreign-owned companies are also using IFRS. The adoption of IFRS would help, although the SEC doesn’t appear to be making such adoption either permissible or mandatory for publicly traded U.S. companies. IFRS requires capitalization of development costs once certain qualifying criteria are met and this would also add meaning to a balance sheet. Anon @21: Goodwill has nothing to do with your own patents, nor with your acquired patents. Goodwill is a “plug number” that gets on the books of the buyer after acquiring another company, and it is used to fill in the gap between the price that was paid for the target, and the fair value of all the assets (minus liabilities) that have been purchased. Goodwill is calculate AFTER the buyer has already allocated a fair value to patents, so goodwill is not supposed to include any patent value in it. For example: if you paid 100 for a company, and you calculated net tangible assets at 50, and recognized intangible assets (including patents) at 20, you will still have an unexplained price gap of 30. That 30 is allocated to Goodwill. If you have more accounting questions, please ping me directly on that. Fish Sticks @22 & 23: not only did Twitter have patents at the time of its IPO, Twitter also made headlines with its “innovator patent agreement” which gives inventors the veto right on all enforcement activities. In Twitter’s own words: “It is a commitment from Twitter to our employees that patents can only be used for defensive purposes. We will not use the patents from employees’ inventions in offensive litigation without their permission.”This story (see here: https://blog.twitter.com/2012/introducing-innovators-patent-agreement) came out in April 2012, over a year before the Twitter IPO in Nov. 2013. So not only did Twitter have patents, it was also trying to make it look like it was not going to enforce them without the inventor’s agreement (an idea that may be impossible to implement in real life, but that’s a topic of another post…). Brian @24: the point that you raise is a fine accounting point that is not material enough to make a difference in our discussion here. While you could theoretically capitalize patent filing costs (which is true for every expense that is creating an asset, not just for patent expenses) there’s a materiality test involved in every capitalization decision. For example: when you buy office equipment, you don’t capitalize the cost of every pencil, but you would capitalize the cost of your computers because these are longer term assets with a higher cost. There’s a judgement involved in the capitalization decision. 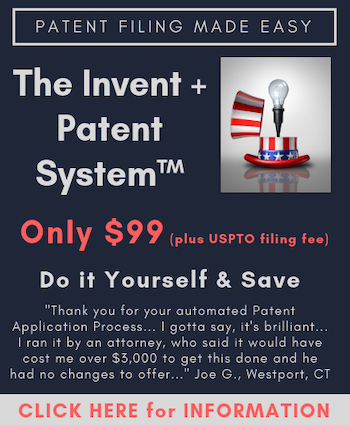 In many cases, patent filing and maintenance costs are not material enough to be capitalized. And even if they were, you will not be able to identify them separately inside the “intangible asset” category that often shows as one line item on the balance sheet, so it will not give you any visibility whatsoever into the fair value of the company’s own patent portfolio. And even if the disclosure was granular enough for you to identify the patent filing expenses’ portion of the patent assets line items, that cost has nothing to do with the FAIR VALUE of the patents. For example, take look at the Motorola Mobility financial statements prior to the Google acquisition and let me know where on that balance sheet do you find any disclosure that could have hinted to the $5.5 billion valuation that was allocated to the patents by Google following the acquisition. Look on balance sheet on page 80 – there is not even a separate line item for patents or intangible assets… and MMI had 17,500 granted patents and 6,5000 pending patents at the time, so MMI must have had some filing costs incurred over the years. “Intangible Assets” are actually buried inside “other assets”, if you go down to the footnote on page 97. The footnote shows that of the ~$500 million “other assets”, about $200 million are “intangible assets”, and I would argue that those are probably IP assets that MMI acquired in other acquisitions, which they need to report at fair value under US GAAP (since you also see a Goodwill item of $1.5 billion which indicates that there have been acquisitions in the past). The problem that we have is the following: acquired patents are recorded at fair value, and internally generated patents are not. The MOST that internally generated patents are going to be recorded at is their filing cost, as you point out, and that cost pales in comparison to their fair value for most companies. Furthermore, the acquired intangibles are tested for impairment every year, and your internal patents are not. Since they were not recorded at fair value to start with, there’s no fair value impairment test requirement. This is the problem that I was alerting to, a problem that gets more complicated with an Alice decision with casts a doubt on the validity of certain patents. IFRS is not going to be adopted in the US in the foreseeable future. To the best of my understanding, all the IFRS changes is getting more of the R&D costs capitalized. It does not change the fundamental premise that internally generated patents are not recorded at fair value.